Four empires collapsed during World War I – the German Empire, the Russian Empire, the Austria-Hungary Empire, and the Ottoman Empire. After the armistice of November 11, 1918, the victorious Allies redrew the maps of Europe, Africa, Asia and the Middle East to replace these fallen empires. The United States entered World War I in April 1917. Nine months later, in January 1918, President Wilson articulated ‘Fourteen Points’ as the basis for negotiating a peace settlement. This speech detailed his concept of a fair and equitable peace to all parties. The British and French were concerned about the Fourteen Points. Having incurred several million casualties and severe financial hardship, they were not that interested in a generous settlement for Germany. Prime Minister of France, Clemenceau was reported to have commented that “God was satisfied with Ten Commandments. Wilson gives us fourteen.” Wilson felt that a harsh treaty would risk future war, stating in his ‘Peace without Victory’ speech: “Victory would mean peace forced upon a loser, a victor’s terms imposed upon the vanquished… It would be accepted in humiliation, under duress, at an intolerable sacrifice, and would leave a sting, a resentment, a bitter memory upon which term of peace would rest, not permanently, but only as upon quicksand.” Time would prove him correct as many historians believe that the harsh Treaty of Versailles was one cause of World War II. Several of Wilson’s points dealt with territorial issues including the provision of independent countries for each of the main ethnic groups in Europe. These concepts were accepted by the Allies and included in the Treaty of Versailles with Germany; the Treaty of Trianon with Hungary and the Treaty of Saint-Germain with Austria. The boundaries of Romania were expanded based on ethnic considerations to include as many Romanians as possible within its borders. Poland was created from portions of Germany, Austria-Hungary and Russia. The Polish corridor was provided to grant Poland access to the Baltic sea. As a result, the German province of East Prussia was divided from the rest of the country. Three Baltic countries, Lithuania, Latvia and Estonia came into existence after World War I. However, these were not part of the post-war treaties. Instead, each country used the chaos following the Russian Revolution and end of World War I to declare independence. Stalin annexed these countries in 1940 following the outbreak of World War II. They remained part of the Soviet Union until its collapse in 1991, when the Baltic nations once again became independent. 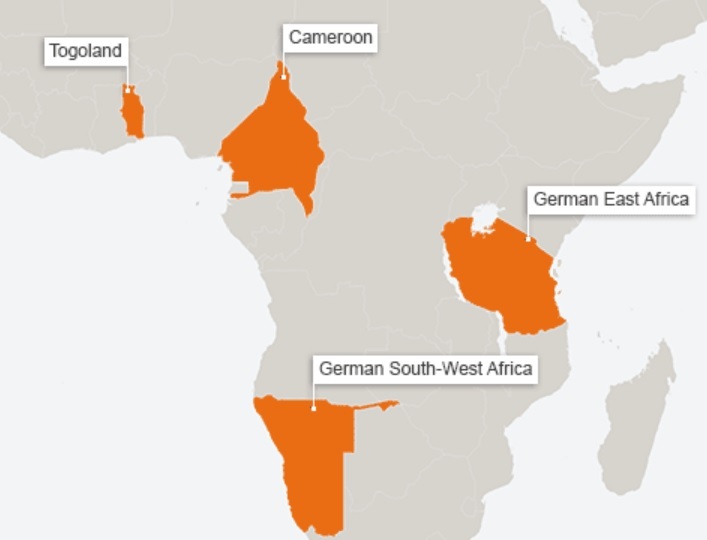 Figure 2 shows the German colonies in Africa that were forfeited at the end of the War. These colonies were converted into League of Nations ‘Mandates’ and split between the United Kingdom, France, Belgium and South Africa. The mandate system was intended to provide temporary supervision until the countries were ready to govern themselves as independent nations. Most did not achieve independence until after World War II. Germany had a sphere of influence on the eastern coast of China, the Shandong province. Both China and Japan were members of the Allies opposing the Germans. The Treaty of Versailles awarded Shandong to the Japanese even though it was part of mainland China. As a result, China refused to sign the Treaty of Versailles. This clause was one reason the U.S. Senate opposed and ultimately did not approve the Treaty. German colonies in the Pacific, including Samoa and New Guinea, became League of Nations Mandates administered by the United Kingdom, New Zealand and Australia. They achieved independence after World War II. The Ottoman Empire was broken up into several pieces. Modern day Turkey was created. The French were granted a mandate over an area that eventually became Lebanon and Syria after World War II. The British were granted mandates over land that became Iraq, Jordan and Israel after the Second World War. Several of the border changes made after World War I were issues leading up to World War II. Many Germans ended up within Czechoslovakia in an area called the Sudetenland. Hitler used this as an excuse to precipitate a crisis eventually leading the appeasement by Neville Chamberland in the Munich Agreement of 1938. The pact allowed Germany to annex the land away from Czechoslovakia. The Polish corridor provided Poland access to the sea and separated East Prussia from the rest of Germany. Many Germans lived there also. Hitler used this as a pretense to invade Poland in 1939, starting World War II. After World War II, the German province of East Prussia was split between Russia and Poland. Germany lost other land on its eastern border with Poland. Germany today is one-third smaller than it was prior to World War I. After the fall of the Iron Curtain and the breakup of the Soviet Union in the 1990’s several other border changes occurred. Czechoslovakia split peaceably into two countries, the Czech Republic and the Slovak Republic. Yugoslavia underwent a violent breakup becoming Serbia, Slovenia, Macedonia, Croatia, Bosnia and Herzegovina, and Montenegro. Finally, Moldova, to the east of Romania, was formed out of the former Romanian territory. The cataclysm of World War I greatly shaped the borders of the world today. Our hope is that any future border changes are the result of peaceful negotiations not armed conflict. There are examples of recent peaceful border modifications such as the transfer of Hong Kong from Great Britain to China or the return of the Panama Canal zone to Panama. Unfortunately, violent border changes are also occurring such as the annexation of Crimea by Russia or the war in the Sudan resulting in the creation of South Sudan. However, most borders are not in dispute today, a sign of stability. Our diplomats need to work to maintain this stability and resolve disputes without resorting to force to keep the world from experiencing another cataclysm.